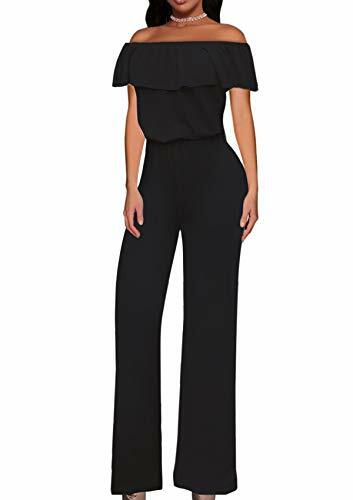 This lovely Women Off Shoulder High Waist Wide Leg Pants Jumpsuit Romper from HyBrid & Company will style yours with stand out heels and accessories for flawless, chick look! Elasticized off the shoulder neckline will completely show your sexiness and grace. Proudly Made in USA, This classic off shoulder long jumpsuits rompers is made of soft stretchy fabric, simple fashion style in solid color shell.